Home → FAQS → Why choose Socal Steam Clean? 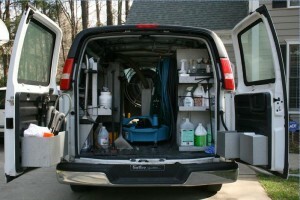 Why should you choose us over the rest of the carpet cleaning companies in San Diego? That’s an essential question that any client should ask a carpet cleaning business before choosing their services over the others. We invite you to ask this question to us, as we are prepared to give you all the details on our company that you want to know. In addition, we invite you to compare our carpet cleaning company with other carpet cleaning companies in the San Diego area because we’re confident that our qualifications, knowledge, and experience are more than exceptional. First of all, we are highly qualified for the job by respectable institutes. We are approved by the QCCN (Quality Carpet Cleaners Network), we were awarded the Angie’s List Super Service Award, every technician at our company is IICRC (Institute of Inspection, Cleaning, and Restoration Certification) certified, and we clean with green products that do not harm the environment. Here at SoCal Steam Clean we are professional in executing procedures and business matters, but we know how to take care of our clients, and look to build genuine relationships unlike other companies that are in and out with no real concern for your home or office. We have the experience to take on a vast variety of fabric types, and the variety of stains that happen on those different fabrics. We also have extensive training with various cleaning equipment to take on the grimiest of stains and the biggest carpet cleaning jobs. In this business, you’re either trained or untrained, and not only are we trained, but we keep training based on the new techniques that are put out there, as well as any new cleaning equipment that’s invented. There’s no spot, stain, burn, spill, mildew, water damage or fire damage that we haven’t seen. Our experience in the field of steam cleaning has prepared us to take on any and all situations. Even if you think that you’re home may be too big of a challenge, or may pose too many problems, we’ll never back down, as we look at challenges as simply a path to success. We are absolutely dedicated to earning complete customer satisfaction for each and every client, and we’re willing to go the distance to make sure that happens on every job! No matter how certified we are or what we’re awarded, the best award and certification we can receive is the cumulative happiness and satisfaction of the clients we service. Everything else doesn’t hold a candle to how much we care about the satisfaction of our clients because we’re not happy unless you are. In short, we have the education, we have the experience, and we have the dedication to perform at our best every time. We want to continue being the best carpet cleaning service in San Diego. You don’t even have to take our word for it. Find out what our past clients have said about us on Yelp, and let their positive experiences with us help you make a decision on whether or not you should give SoCal Steam Clean a try.